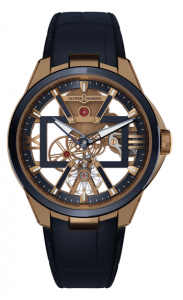 For new watch collectors and Millennials, Ulysse Nardin is the Most Celebrated Luxury Watch Brand in the World. It is the only watch brand to have received over 4300 Awards, 18 Gold Medals, Registered in the Guinness Book of World Record, and received the Watch of The Year in 2000, 2002, 2003, 2004, and 2015. This is a record unsurpassed the Luxury Watch Industry! For more information contact Exclusive Timepieces Luxury Watches at 956.687.2981, Authorized Retailer for Ulysse Nardin. Visit our website at www.exclusivetimepieces.net.